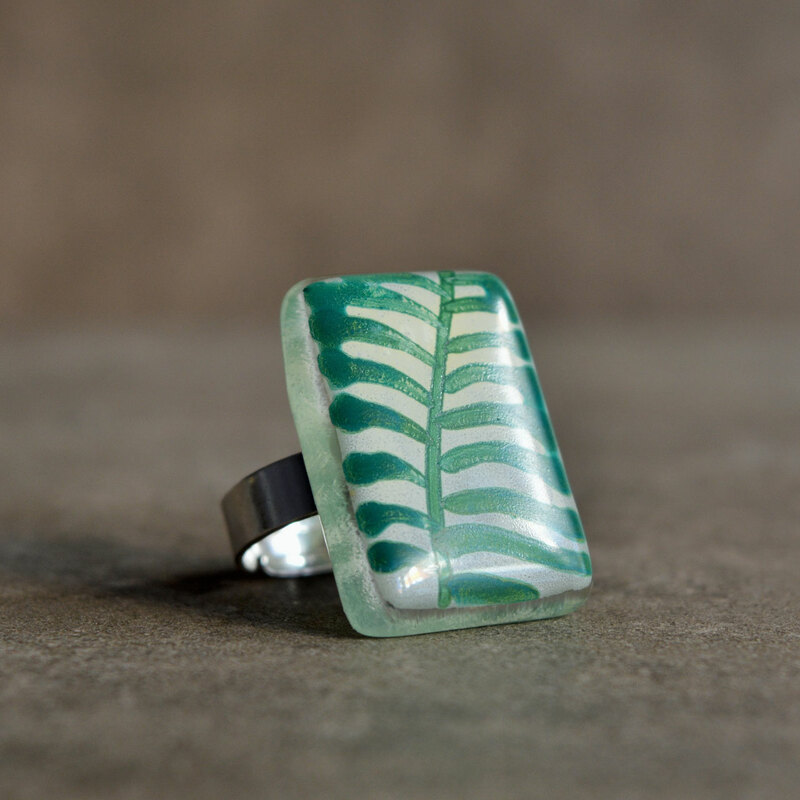 Anillo tropical con hoja de plátano pintada a mano, regalo perfecto para las amantes de las plantas. Siéntete única con este anillo de temática botánica. Perfecto para la mujer atrevida a quien le gusta mostrar su propia individualidad. Para las que no tienen miedo de ser un poco diferentes. Perfecto para mujeres con piel sensible, montado en un anillo de plata de ley sólido. Al ser ajustable lo puedes cambiar cómodamente de un dedo a otro. El cabujón de vidrio ha sido pintado a mano con esmaltes de alta temperatura fusionados para formar una pieza sólida de vidrio. Sin peligro de descoloración, el esmalte es permanente e impermeable. Recibirás tu anillo bien empaquetado en una caja listo para regalar. 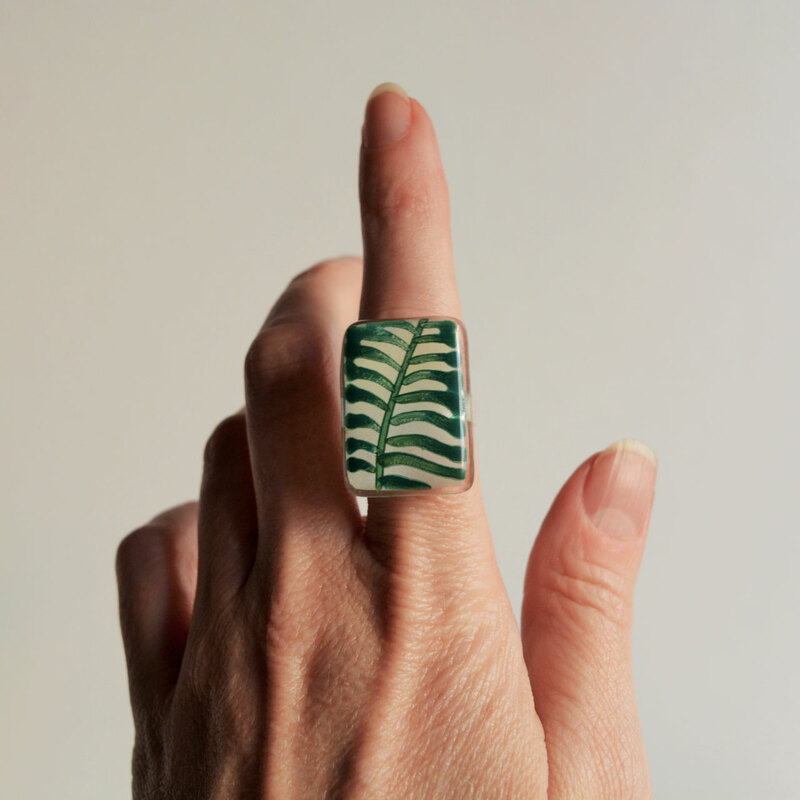 Bold ring with hand painted banana leaf, perfect gift for plant lover. Mounted on adjustable sterling silver ring. Feel unique with this one of a kind botanical themed ring. Perfect for the bold woman who loves to show her own individuality. For those who are not afraid to be different. Perfect for women with sesitive skin, mounted on a solid sterling silver ring of adjustable size. Comfortably switch the ring from one finger to another. 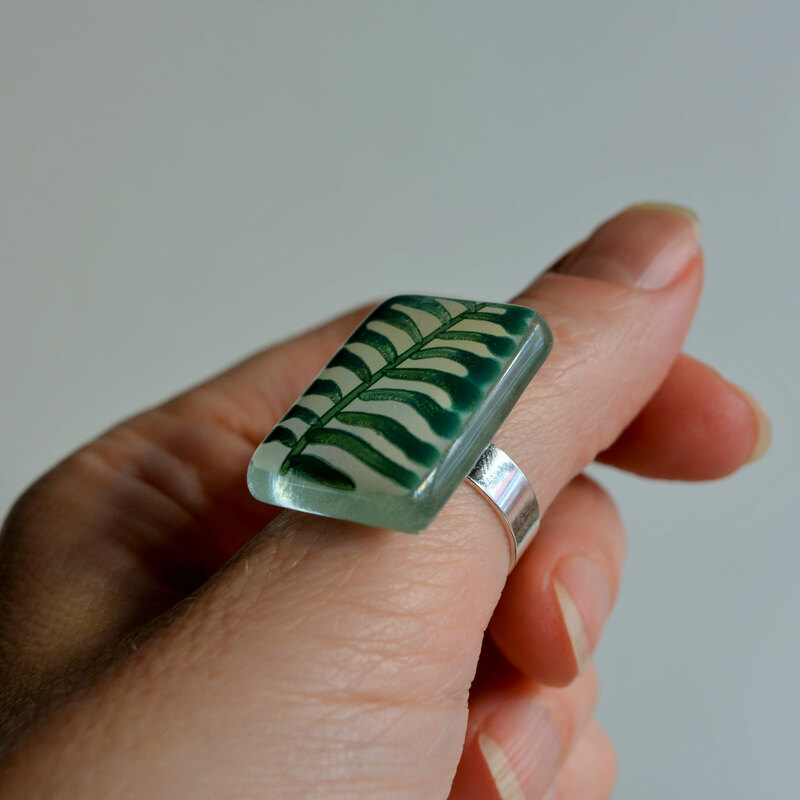 The glass cabochon has been hand painted with high temperature enamels fused together to form a solid piece of glass. No fading of color, the enamel is permanent and waterproof. You will receive your ring nicely packaged in a box ready to give as gift. I use tracked mail to ship all my orders, you will receive a tracking number.